After decades of struggling to secure their freedom, Animal Protection of New Mexico shares exclusive photos of 19 New Mexican research chimpanzees in their first months of safety. 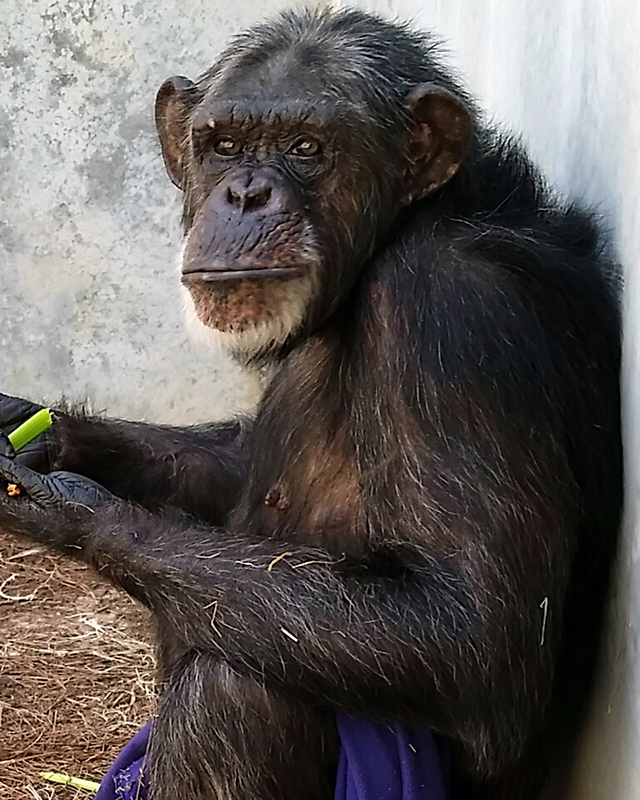 KEITHVILLE, LA – After 30 plus years and more than 500 painful, invasive medical procedures, 19 New Mexico chimpanzees confined to a Texas research facility can finally live the life they deserve at Chimp Haven, a sanctuary in Keithville, La. Animal Protection of New Mexico (APNM), along with several partners, including former New Mexico governor Bill Richardson, fought for more than 20 years to rescue these chimps and make their freedom a reality. 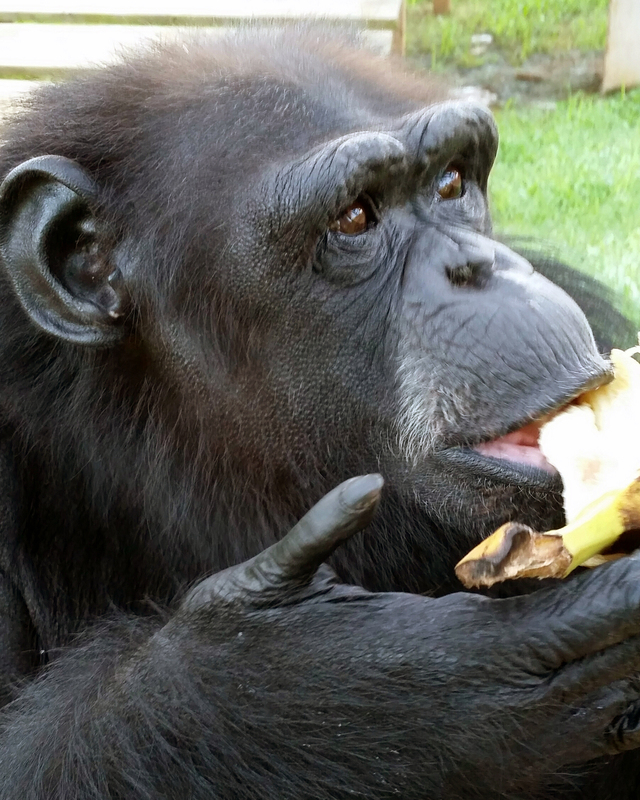 The journey to sanctuary began in April, weeks after New Mexico Community Foundation’s Chimpanzee Sanctuary Fund awarded Chimp Haven $85,500 in grant funding. The cost of caring for a chimpanzee in sanctuary can be over $15,000 a year. “At Chimp Haven, many of them will have the opportunity to enjoy spacious, multi-acre habitats and other large enclosures, climb trees and live in large and complex social groups,” said Cathy Spraetz, president and CEO of Chimp Haven. APNM partnered with countless concerned New Mexicans to help end testing on chimps and work toward their retirement to sanctuary. Former New Mexico governor Bill Richardson not only spoke up for these chimpanzees during his time in office, but also continues to fight for the humane treatment of all chimpanzees through The Richardson Center for Global Engagement. APNM’s work for chimpanzees began in the 1990s, but significant headway was made six years ago, when Richardson lead a coalition that included APNM, the Humane Society of the United States, the Physicians Committee for Responsible Medicine, People for the Ethical Treatment of Animals and 25,000 concerned citizens to fight to protect nearly 200 chimpanzees held in a facility at Alamogordo, N.M.
“The coalition made the difference,” Richardson said. Bonar and her staff at APNM pause only for a moment to savor this victory, before shifting focus to the estimated 140 chimpanzees still housed in a research facility in Alamogordo, N.M. The Chimpanzee Sanctuary Fund currently has nearly $400,000 to award, and the need is urgent, as some of these chimps are sick and elderly. To stay updated on the chimpanzees’ progress, or to give the gift of sanctuary to a chimpanzee still in a research facility, please visit chimpstosanctuary.org. 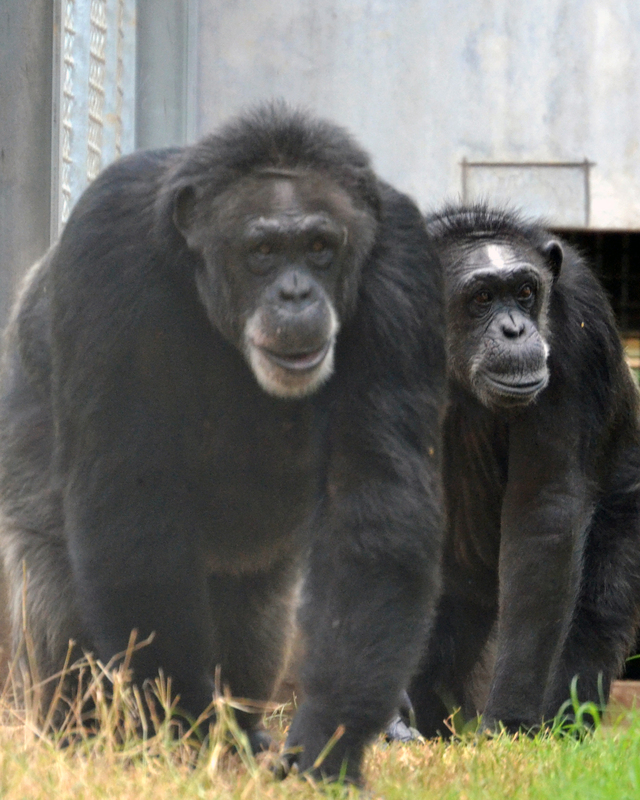 Opal: Opal came to Chimp Haven with her sister, Angel. She is the younger of the two, but still quite strong and defensive. The 35-year-old is very friendly with people, and is known to have a dramatic and dominant personality. Rosie (Right): Rosie is a very sweet, people-oriented female. The 34-year-old is bold and sometimes impatient when her groupmates get rambunctious, but she gets along with all of them, and is always kind and gentle. Cammy: Cammy was born in 1980 on Holloman Air Force Base and taken away from her mother the same day. In sanctuary, the 35-year-old is often seen playing with her friend, Casey, or exploring her yard. 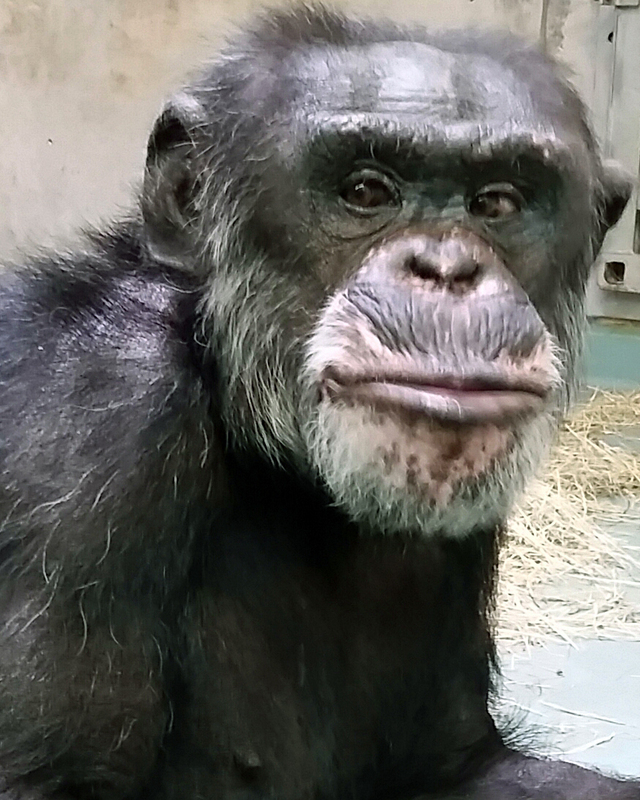 Theo: Theo and his half-brother Camillo are both very handsome chimps. The 23-year-old is energetic, gregarious and playful gets jealous of attention given to other chimps. 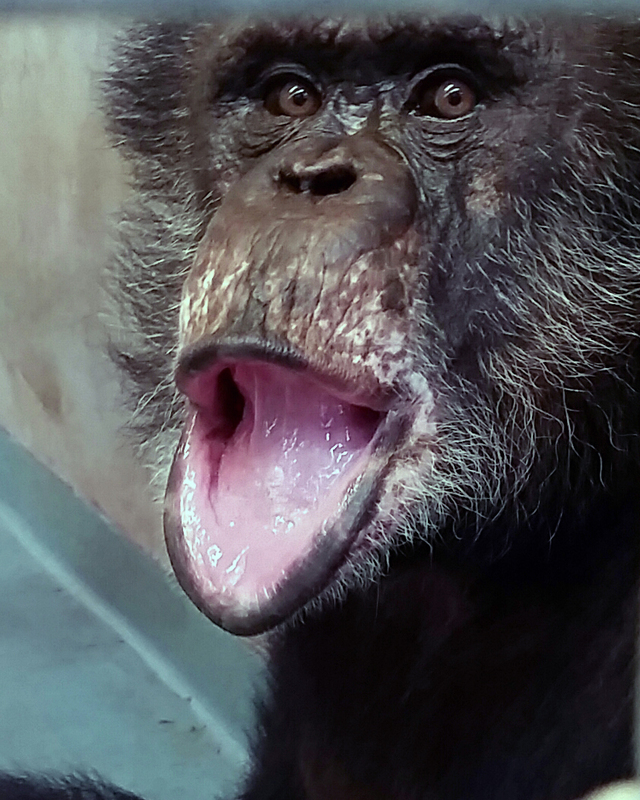 His half-brother Camillo was also retired to Chimp Haven with the support of a grant from the Chimpanzee Sanctuary Fund. Photos courtesy of Chimp Haven. You can help the 140 chimpanzees still held in Alamogordo reach sanctuary by supporting the Chimpanzee Sanctuary Fund.